Johnny and Jay hit the runway for the awesome "Show Your Soft Side, PAWject Runway" and help raise $45k to prevent Animal Abuse! The bars -- inside and outside -- at Canton's Bay Cafe were recently packed with folks for Pawject Runway, not your usual fashion show. 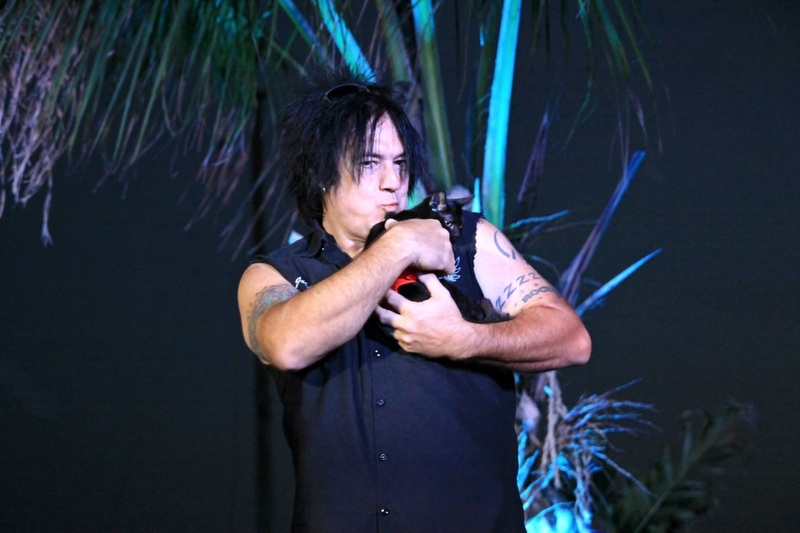 Many of the tough guys who had been featured in the "Show Your Soft Side" anti-animal abuse ad campaign walked the runway with adoptable cats and dogs from BARCS. As guests filled the spaces downstairs, upstairs the models were greeted by event co-chairs Melanie and Butch Hansen and Sande Riesett, "Show Your Soft Side" campaign creator. The models also took some time to get acquainted with their four-legged runway partners. Huge athletes and tatted-out rockers played with the pooches and cuddled the kitties. "It melts my heart. It really does," said Jennifer Brause, BARCS executive director. "Because they look big and tough but then ... you see their kindness and how gentle they are." A few steps away, Dan Root, professional MMA fighter and avowed cat lover, proved Brause's point as he rocked a tiny black-and-white kitten in his tattoo-covered arms. "No one's taking the cat away," he growled protectively. Jay Hitaffer and Loki get their "Show Your Soft Side" Poster on a Baltimore Bus to raise awareness for Animal Abuse. Jay and Loki obtained international status in 2012 with the release of their "Show Your Soft Side" Posters. Jay and Loki have now been chosen to raise awareness in the streets of Baltimore. The term "Punk" is a derogatory term in the streets of Baltimore, not to be confused with the "Punk Rocker". "I've spent several hours on social networks trying to explain this." says Jay. " Just because a word is used in a derogatory way where your from, doesn't mean that it's derogatory everywhere. A Fag in London is a cigarette. A Punk in Bmore is a dirtbag who hurts animals...it's that simple." Jay has spent 10 years as a Police Officer. 5 of which was in the East Side of Baltimore City (Known to be the worst 3 miles of city in the Nation). So, he is definitely not new to the world of animal abuse and fighting. "My Parents raised us to Protect those that are Spiritually smaller than us. It's part of the teachings of Bushido (The Code of the Samurai), which pre-dates and parallels the teachings of the Bible. The most important being- Do unto others as you would have done to you. My Mom would always add- TIMES 10". As you can see, Jay has a solid upbringing which has been carried into his adult life...and now, shared with the whole world. Check out "Show Your Soft Side" on Facebook, and rescue a pet instead of buying one! 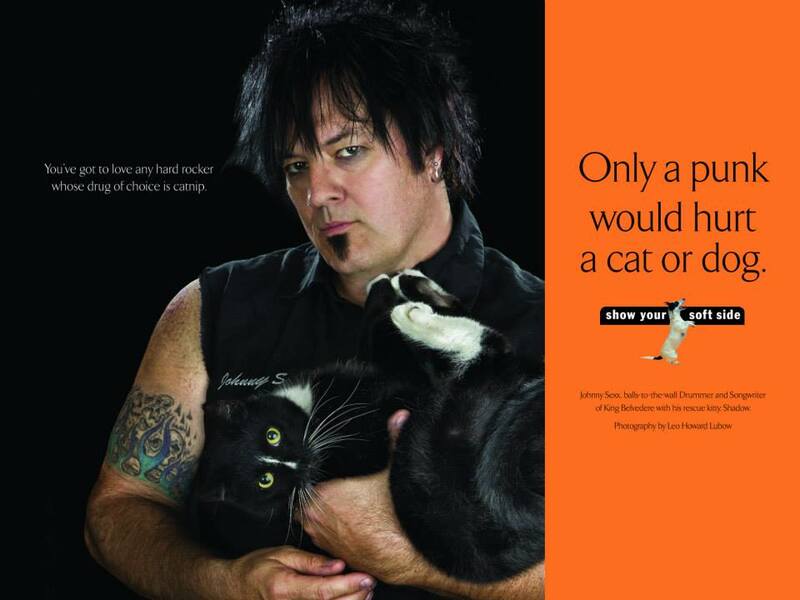 Johnny Sexx joins the Show Your Soft Side Campaign against Animal Abuse and Fighting. 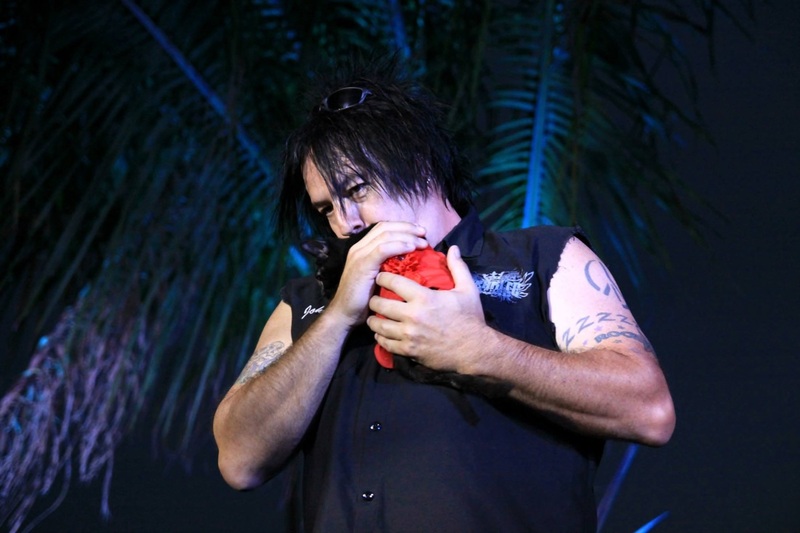 Other Musical Softies include, Tommy Lee (Motley Crue), Henry Rollins (Black Flag, Rollins Band), Jay Hitaffer (King Belvedere), John Allen (Charm City Devils) and Steve Whiteman (KIX). King Belvedere releases their new Album Cover Artwork!! The Royal Rockers release their new album cover artwork! As seen above, the artwork is AWESOME!! The creator of this amazing cover is the ingenious, Brian K Donnelly. Make sure you mark the date for King Belvedere's Royal Record Release Party in Philly on June 28th! Check our TOUR section for more information. 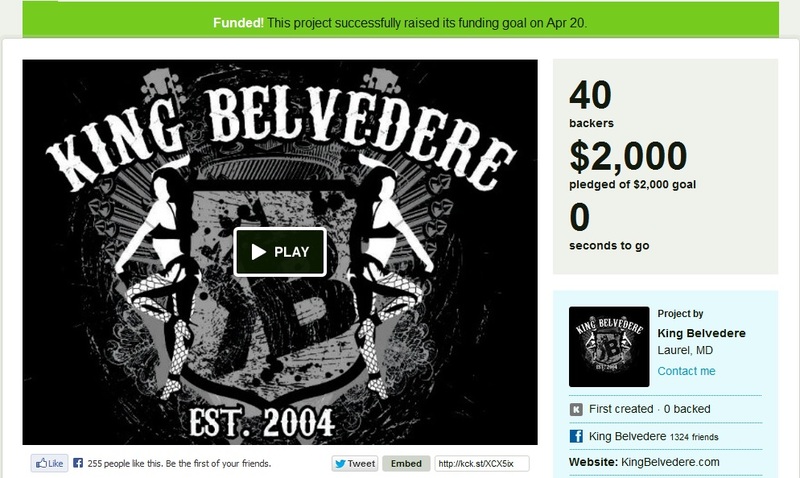 King Belvedere uses KICKSTARTER to obtain money for Album Pressing! 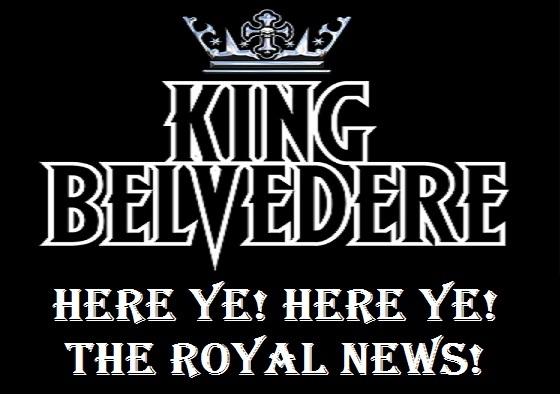 The Royal Rockers of King Belvedere put together a funding plan to obtain $2000 for the first pressing of their 3rd Album. Bassist, Jay Hitaffer, introduced the band to a website called KICKSTARTER.com. KICKSTARTER is a website used to promote and raise money for almost about anything. Our idea was to try to get our friends and fans involved in this process. "We know we have the best fans in Baltimore, Anyone who has been to a King Belvedere show can attest to that. The plan was to get them more involved in the album making process." says Jeff McKenney-Frontman and Guitarist. "Our fans were totally willing to basically prepay for their albums! We even gave them a bit more incentive. We decided to put together a package well worth over the $20 they would be contributing." says Alex T White-Lead Guitarist and Vocalist. The Album is in it's final stages of mixdown, and will be sent to a Grammy Award Winning Engineer for Mastering the first week of May. Following that, it's OFF TO THE PRESSES! Now that KB's obtained the funds for pressing, they can focus their attention onto getting ready for the upcoming Phoenix Festival at the Charles County Fairgrounds on May 25th. King Belvedere signs shredder, Alex T. White, as their new Guitarist! The newest Royal Rocker has proven to be a perfect fit with everything King Belvedere is trying to achieve in the Studio as well as On Stage! KB welcomes Alex T. White to the Family!! In the meanwhile, the boys of KB will continue to lay down tracks on their best album yet, while perfecting the already awesome stage performance you have come to expect from the Royal Rockers! 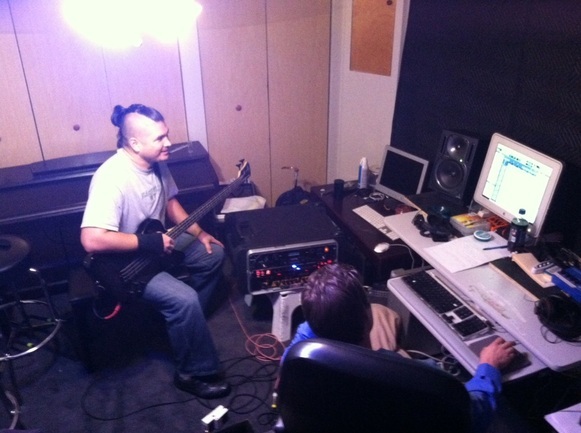 Jay laying down some funky bass tracks! Jay and Taylor Lee Hitaffer singing on "Cold Blooded".